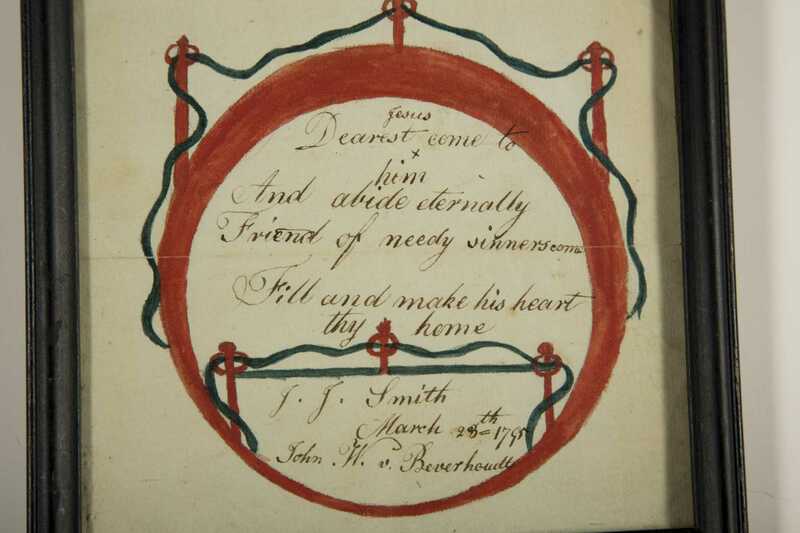 Five Unique Hand Done 19thC Memorials, A) Hand drawn and written poem for J.J. Smith died 1795, 9" x 9", framed under glass. B) Print memorial card and envelope "Sarah Ann Coop died 1846" framed under glass. 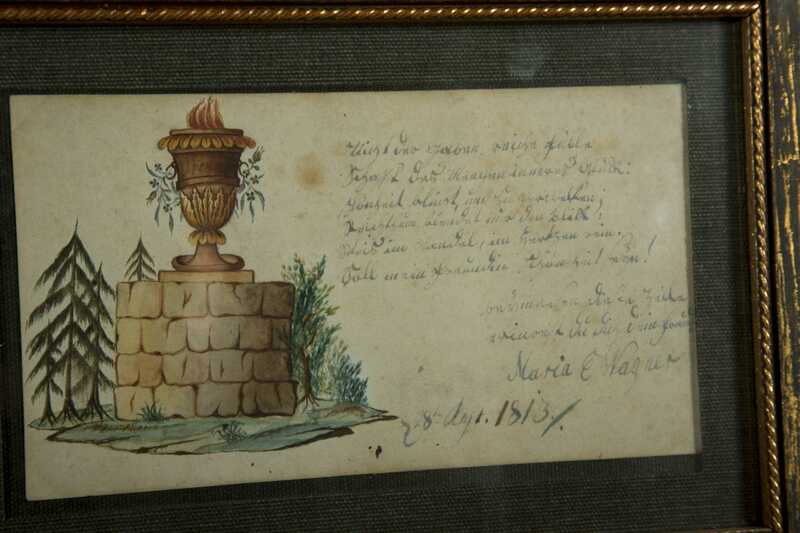 C) Watercolor and written memorial done while in Lititz, she was originally from Philadelphia C1813, 4" x 7", framed under glass. D) Personal print memorial for "Lydia Ann Cutter died 1827 age 6mos. ", 9" x 6 1/4", framed under glass with tear. 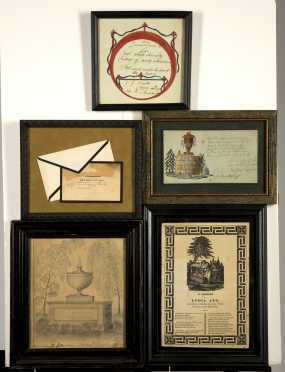 E) Pencil drawn memorial urn with trees for William Moses 1826, 8" x 6 3/4", framed under glass.